Finally, you can understand her! If you’re like most men, you’ve burned up lots of energy trying to figure out what a woman wants, what makes her tick, how to make her happy. Now updated with the latest surprising facts – including new scientific research to explain the fabulous female brain and an all-new chapter that shows how to decode her most baffling behavior, For Men Only is your roadmap to relational success. 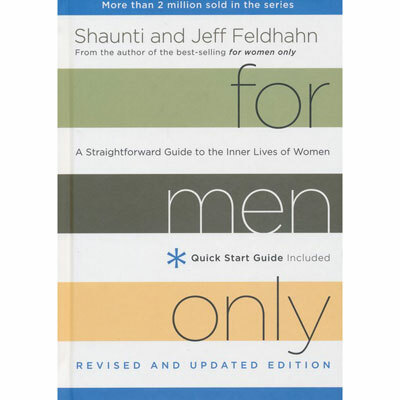 Jeff and Shaunti Feldhahn are popular speakers and best-selling authors whose research findings are regularly featured in national media as diverse as Focus on the Family, Family Life, the New York Times, and the Today Show. The Feldhahns have two children and live in Atlanta, Georgia.